If you’re running a business in the locksmithing industry and are looking for ways to expand, access control is an area certainly worth looking into. Offering this unique service is a sure fire way of expanding your customer base and growing your business, not to mention boosting your reputation and expertise. 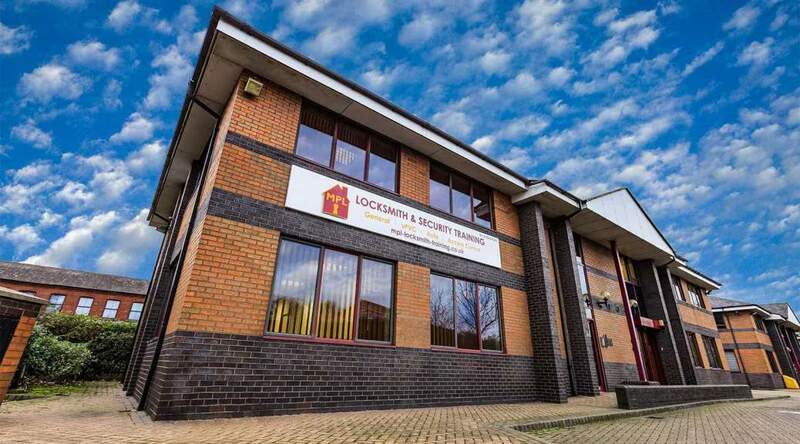 Find out more about access control and how it can benefit your locksmithing business here. Access control is a broad name to cover the security intercom systems put in place to manage who is and isn’t able to enter certain areas. These systems are used in abundance in today’s society, both in commercial and residential properties. Some systems permit entry through the scanning of a key card or fob, whilst others require a code or permittance from an individual on the other end of the speaker. However, they all share the same end result of limiting the individuals within the space to just those who are supposed to be there. Whether it’s an industrial park restricting access to staff, or an apartment block with many residents coming and going, you’ll see these security systems used throughout the country. Whilst they are mainly utilised in city centre properties,you will see the occasional access control system being used in surrounding areas too. 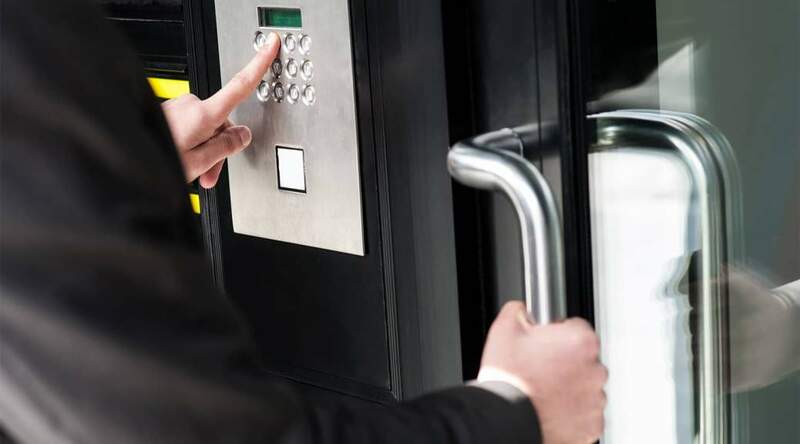 As the economy develops and as many more offices, residential complexes and industrial parks are created, the demand for access control systems is constantly on the up. However, it takes a certain set of skills and abilities to properly install these systems and to ensure they perform at their very best. This is where the role of a professional locksmith comes in. Only locksmiths with the necessary skills to install access control systems will be able to carry out the job properly, so the relevant training and experience is essential. That being said, it’s well worth investing your time, money and effort into this training, as the skills you gain from it will give your locksmithing business an incredible boost. Locksmithing for access control systems isn’t something that’s covered as part of the basic locksmithing training. It’s a niche area in the trade and it’s very unlikely that every locksmith will take part in the additional training to develop their skills in this area. That means that if you do, competition is very low and it’s much easier to be hired for these services for any projects in your local area. What’s more, because it’s a rather complex area of locksmithing, the cost of your services are much higher than they would be for your simple lock change on a front door. Low competition and higher returns – need we say more about the benefits of access control for your business? There’s also the advantage of repeat business. It’s likely that you will be asked to return to the same property for regular maintenance checks on the access control systems you previously installed. Better yet, you may even be hired by the same development company for future construction projects they carry out. There are very few drawbacks to adding access control locksmithing to your business. It takes very little effort on your part to undergo the relevant training and, in time, you’ll soon see the great impact it can have when adding this niche to your range of services. Whether you’re starting a website from scratch or looking for ways to improve your existing one, there’s a number of vital elements that any locksmith should have. 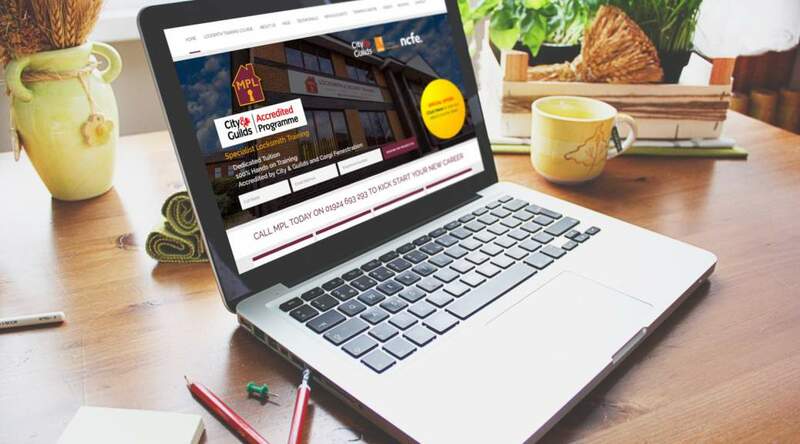 Use our guide to help you set up a professional website for your locksmith business, that’s bound to get plenty of potential customers enquiring about your services. First and foremost, your website should offer potential customers your contact details, so that they can quickly and conveniently get in touch with you during their time in need. Your phone number is probably the most important method of contact, as your customers will want to be able to get in touch directly to discuss their requirements. Don’t forget that, with many of your websites users will now using mobiles rather than their desktops, so you should include a “tel” link, which allows them to call you easily by just clicking on your phone number. As locksmithing is a relatively local service, you should look to including your address within your contact details too. Search engines are able to use your location to put your website in the search results for potential customers in your area, so when someone in Manchester searches for a locksmith, the results will show up locksmiths in Manchester. However, this can take a little technical work to carry out, known as SEO, but simply providing your business’ address is a great place to start. Finally, try to include a contact form or email address as part of your contact details. Those potential customers who aren’t in a rush to find a locksmith ASAP, may prefer to fill in a form to enquire about costings. Once you have responded to them, they will probably compare your prices with other local locksmiths, before deciding to contact you through an alternative method, such as over the phone, for example. In-depth, relevant details of your services will not only help a customer to decide whether you can fulfill their requirements, but it will also help your website to rank higher in search engine listings than competitors who fail to provide this information. Try to provide a dedicated page for each of your locksmithing services. That way, it’s easier for potential customers to find the information they need, rather than having to skip through a wealth of content that’s irrelevant to them. You will also be able to provide much more information about your services, when you dedicate a page to each. In an industry as competitive as the locksmithing profession, it’s imperative that your website highlights the unique selling points of your business. Whether that’s your specialism in a certain area of locksmithing, a discount for bulk orders or “no emergency callout charge”, to name a few, shout about your business’ selling points to get your potential customers interested. Top Tip: Make these unique selling points stand out by using callouts or short worded phrases that make them more visible than the rest of the content. Use short and snappy phrases, before offering more details about your USPs in the standard page content. Reviews are the ultimate seal of approval for your business, offered up by customers who have experienced the quality of your work in the past. There’s no greater recommendation for a locksmith, than a positive review from previous customers, so make room for these reviews on your website. Convincing visitors to your website that you’re the professional for the job is one thing, but you need to help them along towards enquiring or converting. Call to Actions on every page of your website will help to improve the customer journey and will persuade convertible customers to enquire about your services. Whether you’re encouraging them to give you a call or head to another page on your website, Call to Actions are a surefire way of persuading a visitor to do exactly what you want or need them to do. These features are certainly the most important aspects to include on your locksmithing website, but they’re just a drop in the ocean as to what you could include. Over time, you’ll be able to test and assess the features on your website, to find out what’s working well with customers and what needs improving. You could also discover what’s missing on your website that could help to bring your locksmithing business more customers. The MPL Group of Companies is excited to announce the appointment of Nicky England as Managing Director. 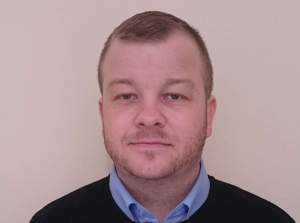 Having performed the Managing Director role informally for the past six months, Nicky will now officially be focusing on driving forward MPL, for which he has been the operations director over the past 2 years. 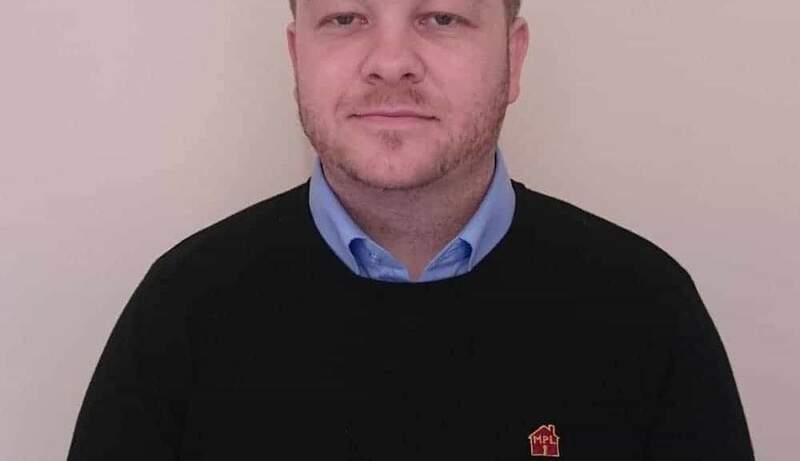 Nicky has served in a number of positions throughout MPL over the course of 10 years, and brings with him to the position a wealth of leadership experience and knowledge of the locksmithing industry. With full responsibility for the leadership and development of the MPL portfolio of businesses, Nicky will play a key role in meeting the company’s growth goals. 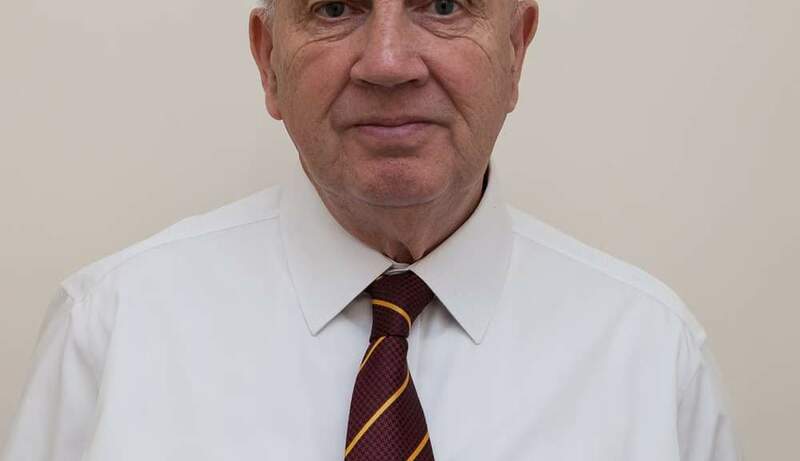 Dennis Matthewman, Deputy Chairman, added, “I am delighted that Nicky will be driving us forward as Managing Director. As our business continues to grow and as we expand the range of services we offer to clients, we will be investing in our employees to reflect our ambition”. Pursuing a career as a locksmith can provide you with years of earnings and a stable job for the foreseeable future. Locksmiths provide a specialism that is often required on a day to day basis and as we look to the future, the profession will continue to be in demand even as security technology changes. The earnings you will receive as a locksmith will depend on a number of factors. For example, if you end up working for a company, it’s likely that you will be given a salary, whereas if you choose to head down the self-employment route, your earnings will be taken from some of what you charge for your services. In this guide, you’ll find everything you need to know about locksmith prices and what you could earn as a self-employed professional in the field. The guide should give you a better understanding of what to expect from your locksmithing profession as well as what factors affect the cost of a locksmith service. How are locksmith prices calculated? The types of jobs you may be called out for can differ quite dramatically. Your day might begin with a simple single lock replacement, whereas you might spend your afternoon changing the locks on every single window and door of a property. As such, the cost of a locksmith service is typically calculated by the size of the job and the time it will take to complete, as well as the cost of any tools or equipment needed for it. Many locksmiths also charge a standard call out charge of between £50 and £90, which makes up for the travel costs associated with driving to and from different jobs, or higher call out charges for when they are called outside of their normal working hours. How much does a locksmith typically charge? The cost of your services will usually differ depending on the type of job you are carrying out. Below are some of the standard jobs you will be called out for as a locksmith, as well as the current average costings for each of these jobs. What factors could affect the costs of your services? Asides from the time and effort that it would take to complete a locksmith job, there are other factors to think about when setting your standard prices. These factors are particularly important to consider when starting out as a locksmith and as you progress as a professional, in order to make the most of your earnings and to make sure you’re not underselling your services. The whereabouts of your locksmithing business and where you choose to offer your services will impact the amount you should charge. If you live in a city, chances are your living costs will be much more costly than those living in suburban or countryside areas, so this could cause your service costs to be higher. Alternatively, those living in the countryside may be required to travel further from one job to another, adding to the cost of fuel and other travel expenses, so this is something which may need to reflected in your costs and earnings. Another way in which location may affect the cost of your locksmithing services is the level of competition around your area and how much they typically charge. You will want to make sure you are offering a competitive price for your services, without underselling yourself and affecting your earnings at the same time. The level of expertise you have as well as any unique skills you possess can also impact your costs. For example, if you develop an expertise in auto locksmithing, or for a particular type of traditional locksmithing, you may be able to charge higher prices for your services, as customers will trust your expertise and will be happy to pay for a job well done. Whether or not you choose to offer out of hours services is entirely up to you, but those locksmiths that do will typically charge a higher price for the inconvenience to them. Customers will be happy to pay an additional cost during unsociable hours, if it means their security issues are dealt with quickly and efficiently. As it stands, locksmiths typically charge an average of £75 to £100 for an out of hours call out charge, with additional costs for time, labour and tools added on top. As your career as a locksmith progresses, it’s likely that you will receive a number of recommendations or reviews from previous customers, if you have provided a high-quality service to them. These recommendations act as a seal of approval and will promote your skills and expertise to potential new customers. The more recommendations and reviews you receive, the easier it will be to increase your service costs, which customers will agree to paying due to your quality seal of approval. There’s plenty to think about when it comes to developing the prices for your locksmithing services, but with this guide, you should be able to get set up and running in no time at all. It’s important to remember that these averages will likely change in the near future, as the economy changes along with the cost of living, too. Make sure to keep up to date with any changes to these factors and alter your prices accordingly, so you can continue running a fruitful locksmithing business in the years to come. Setting up a successful locksmithing business or breakdown recovery business is a fantastic start to a fruitful career, however, business growth plays an important part in that success. Once your business is up and running, it’s important to think about the future and what route you could take your business down. Auto locksmithing is a very important and lucrative niche available in your business’ sector, a service well worth considering as part of your business expansion plan in the years to come. 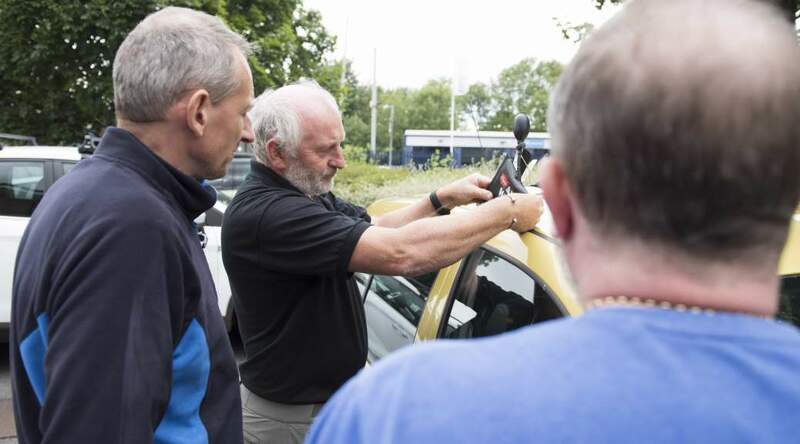 Find out more about auto locksmithing, what it entails, and how taking part in an auto locksmith course could help you to grow your existing business for the future. Auto locksmithing is a specialist niche within the broad range of locksmithing services, which focuses on issues around vehicles and their locks, keys and overall security. Whether a customer has lost their keys or locked their keys within the vehicle itself, or if the key is damaged and needs repairing or replacing, an auto locksmith provides a service to deal with each of these problems. As technology improves over time, the security systems used within vehicles are becoming more difficult to repair or replace. This is what makes auto locksmithing incredibly important for the future, as it’s these professionals that will have the key skills and equipment required to solve problems with vehicles and their security technology. What does an auto locksmithing course offer? If you’re looking to expand on your traditional locksmithing or breakdown recovery business, all whilst improving your offering compared to that of competitors, you’ll want to take part in an auto locksmithing course. Investing your time, effort and money into one of the specialist courses will equip you with the knowledge and practical skills needed, to introduce this unique service to your business and its customers. You’re bound to come across a variety of auto locksmithing courses on offer, but our City & Guilds accredited course will provide the best training and skills development, brought to you by professionals with years of experience in the locksmithing industry. As an auto locksmithing student, you’ll learn how to gain entry to over 95% of vehicles on the road today. From how to strip down and identify a vehicle’s locking mechanism, to repairing, replacing and servicing these systems, spending 3 days with us will allow you to expand your business and begin working on auto locksmithing callouts. Although your standard locksmithing services are bound to bring years of custom to your your business and your career, there’s always room for improvement. Business growth plays an integral part in the success of any business, so considering new routes to explore and new services to offer will only see your business progress and become more profitable. Auto locksmithing is a unique skill to offer and a crucial service that’s in demand. A vehicle’s security system is very complex and because of that, everyday vehicle owners would never attempt to tackle the job themselves. With that in mind, you’re bound to receive years of custom as an auto locksmithing expert with the skills required to get the job done. As the technology within cars, vans and other vehicles progresses, the unique skills of an auto locksmith are needed even more. Technology is advancing as incredible rates and it will take the expert knowledge and experience of professionals within the auto locksmithing field, to maintain this technology and the vehicle security systems that come with it in the future. The demand for auto locksmithing services will only increase over time and as these security systems change. That’s why this particular service will only bring further custom and profitability to your business further down the line, should you choose to expand into this niche. Your traditional locksmithing business is bound to bring you a fair amount of business and success over the years, but there are plenty more skills can invest in to expand your business and offer even more to your customers. Auto locksmithing is a fantastic niche to get into as an additional service – from there, there’s no telling what other skills you could introduce further down the line, to boost your business’ potential in the locksmithing sector. If you’re thinking about pursuing a career in locksmithing, it pays to develop your skills with the help of a locksmithing training course. These courses take very little time and will equip you with the key knowledge and practical skills needed, to kickstart your role as a professional locksmith. However, with a fair number of locksmith training companies offering these courses across the country, how do you know which one to invest your time, money and effort with? This guide will offer tips and tricks to help you with your research, with the key things to consider when looking for the best quality locksmith training company. The first thing to look for when comparing the different locksmith training companies, is what they offer as part of their training courses. Some providers may promote just one course that covers the basics, whereas others will divide their training into a number of condensed courses. These courses will allow you to focus your efforts on the basics to begin with, to then develop more expert skills over time. It’s well worth taking the time to assess each provider and to make a note of how they approach the training. What works for one person might not necessarily work well for you, so it’s important to know how they go about their training and to see which scheme is best for your own development. You should also take a look at how the courses are actually taught. As you’re looking to gain new locksmithing skills, then a practical approach to the course is likely to be much more useful to you. If you are looking to use the course to set up as a self employed locksmith then it’s also worth seeing if the course covers any other aspects such as business and marketing. Do they have any accreditations? 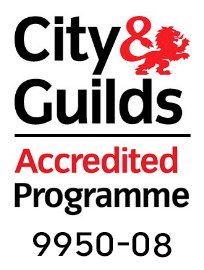 Some locksmith training providers have been assessed and approved by professional bodies, such as City & Guilds, to showcase the quality of their training courses. These accreditations act as a seal of approval from these organisations and are a sign that you, as a customer, can trust the services they provide. When comparing the different locksmith training companies on offer, look out for any accreditations they have and rule out any companies that haven’t yet achieved this seal of approval. Their accreditations should be displayed on their website, so it shouldn’t take too long to rule out any providers that haven’t yet reached this level of quality. What industry experience do the trainers have? 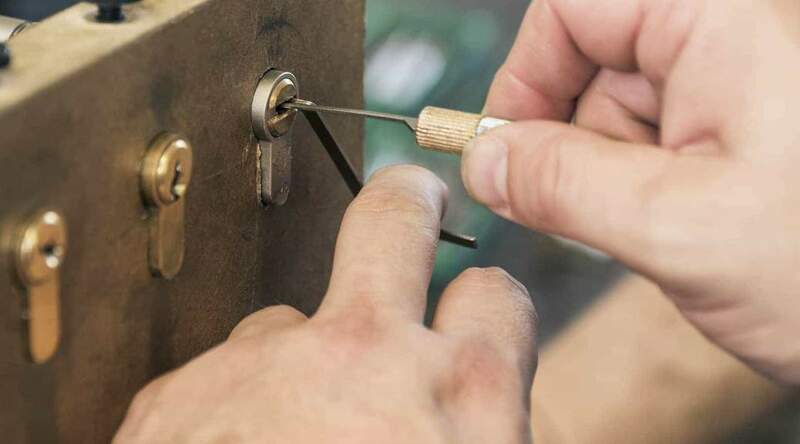 As a beginner in the field of locksmithing, it makes sense to be trained by professionals in the industry who have years of practical experience behind them. You won’t receive the same quality training by someone who has minimal experience, or who has never worked in the field before. Take our trainers, for example. Each of our professionals have spent decades working in the locksmithing industry, so have plenty of theoretical knowledge and practical experience to teach beginners like yourself. Some still work as a locksmith, so you can rest assured you’re in the right hands. Do other people recommend the course? Reviews and recommendations play a crucial role in establishing whether or not a locksmith training company is worth its salt. You’ll never have a better understanding of how well a provider performs, than from the words of those who have taken their training courses in the past. Here at MPL Locksmith Training we use an independent review management company to ensure our reviews are collected fairly, and the feedback is effectively used to improve our courses wherever possible. Once you have narrowed down your list of training providers, take a look through the reviews they have received, to see if any come highly recommended. Don’t limit your research to the reviews displayed on their website – check out the likes of Google Business reviews and forums, for completely unbiased reviews that will give you a true picture of the quality of these courses. What have others done since taking the training course? Once you have read through some reviews and perhaps found a training provider that you might be interested in signing up with, why not try to find out a little more about previous trainees and what they have done since? Whether that’s through commenting on their review or searching for their LinkedIn profile, you could find out whether they have made something of their locksmithing career and use this to assess how beneficial the training course could be for you. By making the effort to research each of the locksmith training companies you’re interested in, you could end up picking the best of the bunch and investing in a programme that’s exactly what you were looking for, if not more. Spending time, money and effort with a quality locksmith training company is key to starting a successful career in the field, which is what makes this initial research extremely worthwhile. A quality uPVC front door will last for many, many years, but over time it’s normal for these doors to suffer from a slight drop or lean. Whilst one side of the door is fully supported by hinges, the other side – the lock side – isn’t quite as sturdy, which is what causes this lean over to occur over a number of years of use. This drop or lean can then lead to further problems, including trouble with locking the door, or even a gap that can cause drafts or leaks into the customer’s home during bad weather. Alternatively, the door could begin to rub against the frame and cause further damage, that might lead to a replacement being required. As such, it’s beneficial to act early and to take the steps needed to correct the door’s drop or lean and to prevent as much damage as possible. A simple and effective way of correcting the door’s drop or lean is to toe and heel the door. This is a common method used by many locksmiths and uPVC repair engineers with troublesome door drops, especially when attempting to adjust the hinges doesn’t work. By correctly toeing and heeling the door, you should be able to realign to door with the frame and correct any leaning that has occurred. If you’re new to the toe and heel process, continue reading to find out how to carry out the task and you’ll have the uPVC door in question looking just right in no time at all. It makes sense to carry out some measurements to begin with, to clarify that your customer’s door has indeed dropped. Professionals typically call a door that has dropped as being out of square. It’s incredibly simple to check for any drop. Simply measure the door from corner to corner, diagonally. So you would be measuring from the top left corner down to the bottom right, followed by measuring from the top right corner down to the bottom left. Make a note of each of the measurements and, if they do not match, you’ll know for sure that there’s a definite drop in the door. Toeing and heeling your customer’s door will reposition your customer’s door so that these measurement are once again equal. Once you have your equipment ready, the process of toeing and heeling your customer’s door can begin. It’s a relatively simple process so it shouldn’t take up too much of your time. Kick things off by removing the beading strips that hold any glass or panels to the door. It’s best to start with the longer strips and finish with the shorter strips. Simply place your stiff putty knife in-between the beading strip and the frame, about halfway down the strip. From there, gently work the knife as a lever until the beading strip breaks away. Once the beading strips have been removed, you can now remove any glass or panels from the door. From there, look for any packers that are within the frame and remove them, before reinstalling the glass or panels into the door frame. When you fit the glass or panels back into the frame, move it as close to the locking side of the door as possible, so that there’s a gap on the hinge side. From there, you should measure the distance between the glass or panel to the top of the frame and the distance between the glass or panel to the hinged side of the frame. Make a note of these measurements. Using the measurements detailed above, take two packers that are both half of the total width of the measurement (e.g. for a 8mm gap, your packers would need to be around 4mm each). Again, using the measurements detailed above, another two packers should be half of the total height measurement (from the glass or panel to the top of the frame). Once you have these packers ready, you can begin to position them within the frame. Using the clear silicone, place one of the width-based packers and one of the height-based packers within the bottom left corner of the frame. Each of the packers should be positioned around 50mm away from the corner, further along the longer door strip. These packers will help to distribute the pressure evenly. From there, you can add the glass or panel back into the frame. The glass or panel will naturally lean slightly towards the locking side of the door, which can be corrected by placing the glazing shovel into the lock side and gently pushing the glass of panel towards the hinged side. To hold this in place, add the second width-based packer to the top right corner of the frame, again, 50mm down from the corner. Now you will need to use the glazing shovel on the top of the lock side of the door, and work it gently to lift the frame into place, before adding the second height-based packer to the top right corner of the frame, 50mm left of the corner. 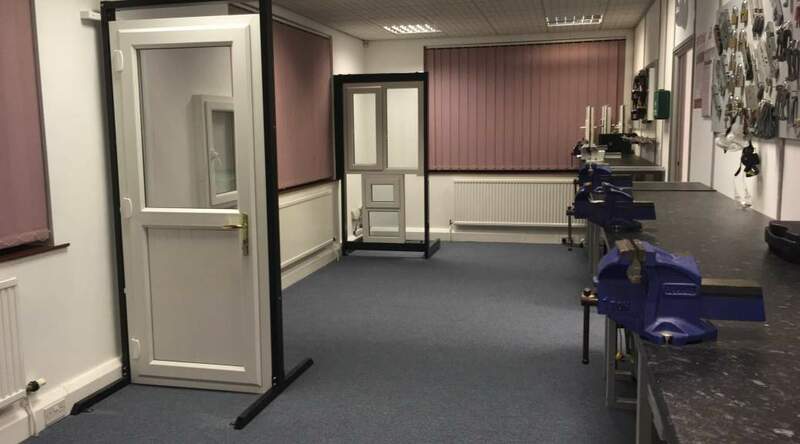 Once all the packers are in place, you will need to check that the frame and the door panels are level with one another, as well as testing whether the door opens, closes and locks effortlessly, before refitting the beading strips. Top Tip: For additional strength and security, you can add two further packers to each side of the door. By following these 7 steps, you should have a level sitting uPVC door again in no time at all.